This summer we have experienced the driest period in years. As a result, residential and commercial turf is developing a tendency to repel water. When this happens you see more and more dry spots, and more runoff to hard surfaces. With an application of TriCureAD soil surfactant, we can help you to optimize the water you are applying and reduce wasted irrigation. Even watering appropriately can lead to dry spots. If that condition occurs an application of soil surfactant will help to counteract the damage. Overwatering to prevent dry spots can lead to disease pressure and affect proper root growth, which is essential for a healthy turf. Let us help you be more efficient is maintaining your turf. Give us a call if we can get this service scheduled for you. 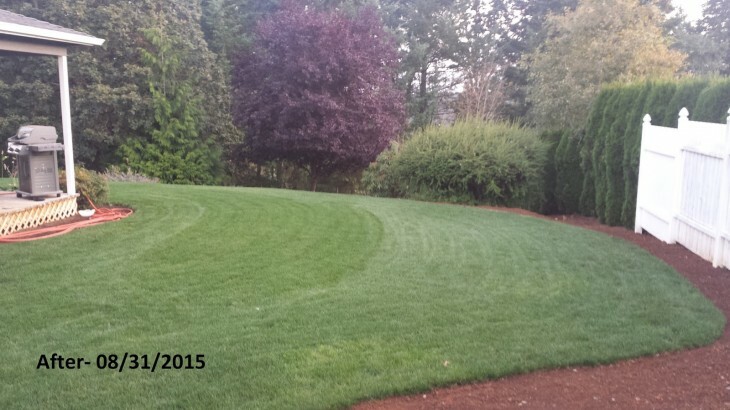 New Service Options Drought, green grass, lawn care, service options. permalink.